Hello . 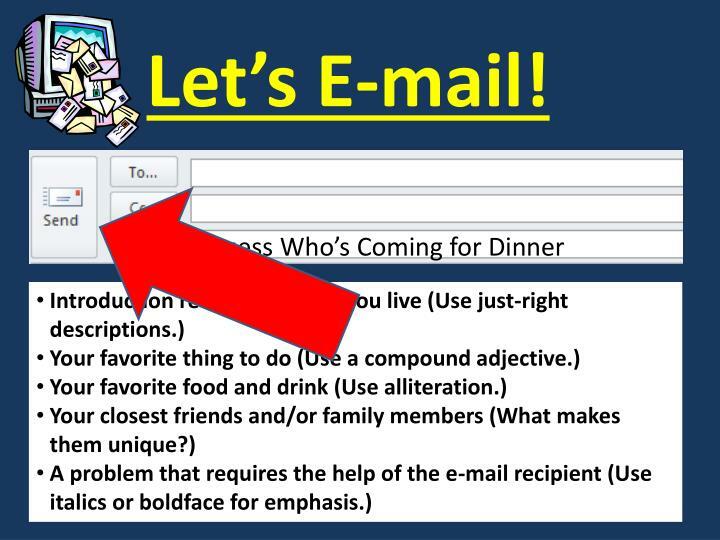 WITHOUT TALKING, open your Writer’s Notebook and draw a line. In your mind, picture your favorite food. 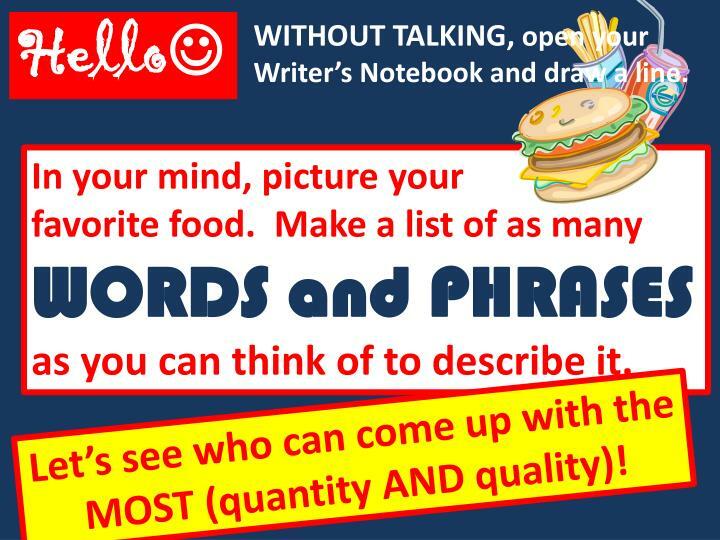 Make a list of as many WORDS and PHRASES as you can think of to describe it. . Let’s see who can come up with the MOST (quantity AND quality)!. 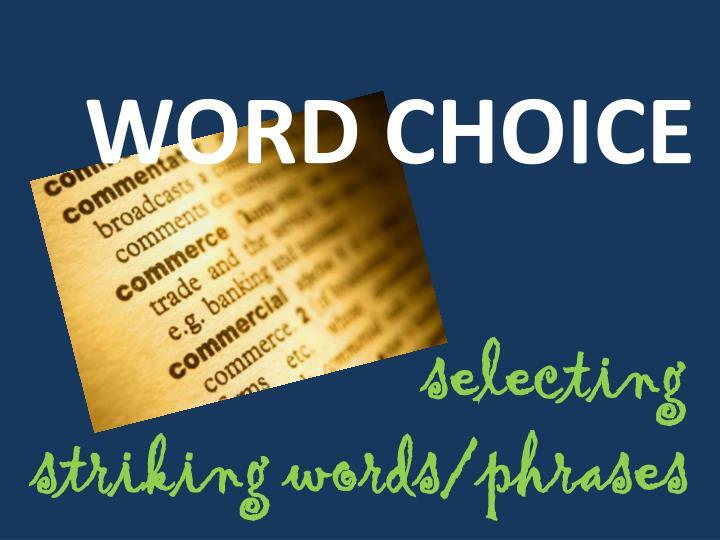 WORD CHOICE. selecting. 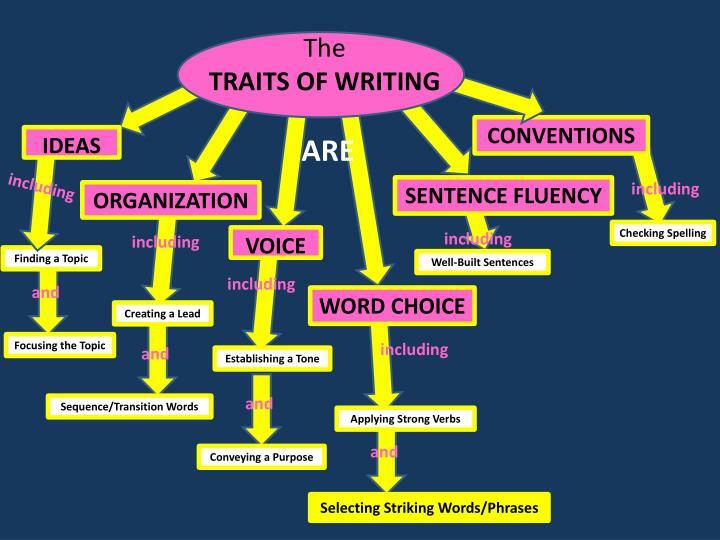 WITHOUT TALKING, open your Writer’s Notebook and draw a line. 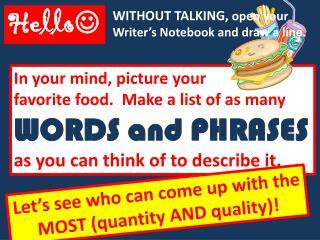 as you can think of to describe it..
Let’s see who can come up with the MOST (quantity AND quality)! Did I try to use words that sound just right? 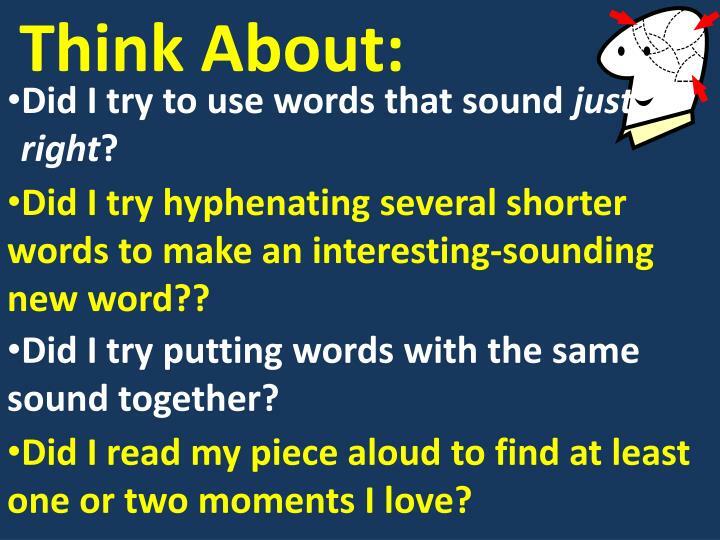 Did I try hyphenating several shorter words to make an interesting-sounding new word?? Did I try putting words with the same sound together? Did I read my piece aloud to find at least one or two moments I love? 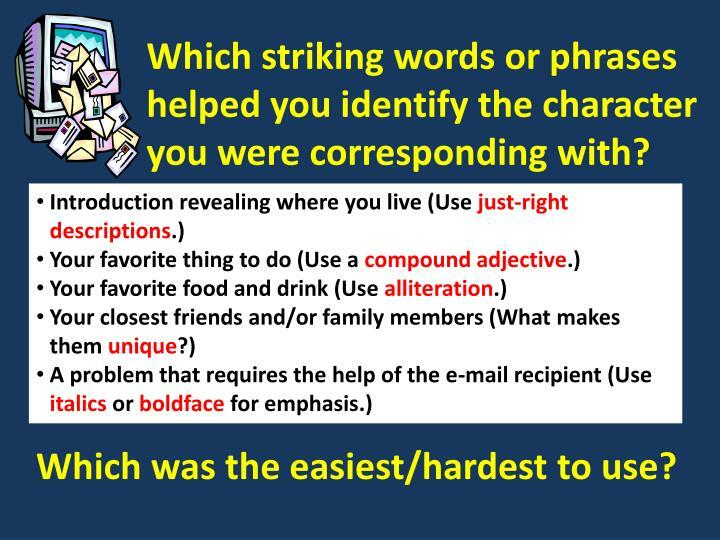 Which striking words or phrases helped you identify the character you were corresponding with? Which was the easiest/hardest to use? striking words or phrases. 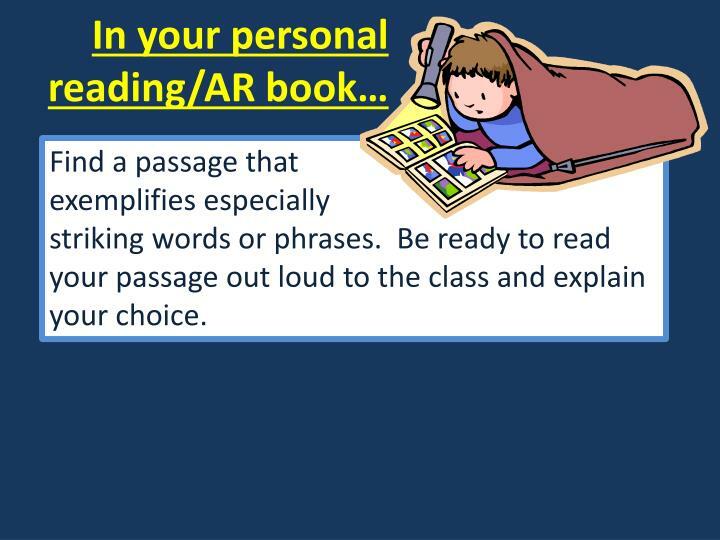 Be ready to read your passage out loud to the class and explain your choice.